When cities fail to collect the rubbish, it eventually blocks the streets. And something similar happens in the smallest living entities, that is, cells. To get rid of waste, they have their own miniature waste recycling plants which recycle waste products. Using yeast cells, biochemist Prof. Dr. Claudine Kraft and her team are researching this process of waste recycling, which is known as autophagy. 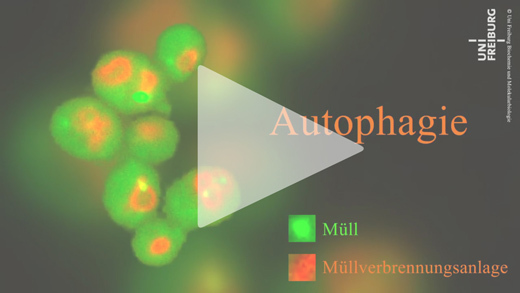 If autophagy does not function properly in cells, it can be a cause of diseases such as Alzheimer’s or Parkinson’s. The researchers hope that by decoding the mechanisms, they will in future be able to use medicines to influence autophagy and help patients.